Authors: Zagravskaya I.A., Zagravskaya I.A. To compare the heart rhythm frequency during the heart failure treatment with loop diuretics. Materials and methods: 98 patients with heart failure decompensation were observed. Clinicodemographic peculiarities, results of ultrasonic of heart, Holter monitoring of an electrocardiogram and dynamics of the concentration of electrolits in blood were analyzed. Results: decrease serum concentration of potassium during furosemide therapy leads to of high gradation ventricular arrhythmias increase. electrolyte balance of blood, loop diuretics, chronic heart failure. Мареев В. Ю. Сердечная недостаточность и желудочковые нарушения ритма сердца: проблемы лечения / В.Ю. Мареев // Кардиология. - 1996. - №12. - с. 4-12. 2. Российские национальные Рекомендации ВНОК и ОССН по диагностике и лечению ХСН (второй пересмотр) / В.Ю. Мареев [и др.] // Сердечная недостаточность. 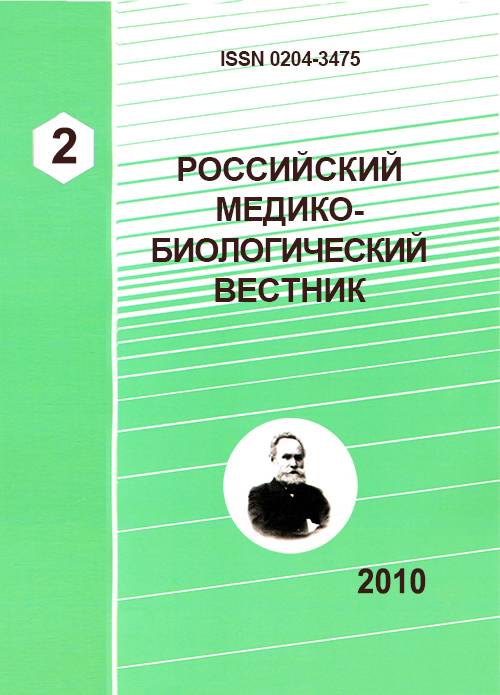 - 2007. - Т. 8, №1. - С.1-36. Bоlke T. Torasemide: review of its pharmacology and therapeutic use / T. Bоlke, I. Achhammer // Drugs of today. - 1994. - Vol. 8. - Р. 1-28. Brater D. C. Clinical pharmacology of torasemide, a new loop diuretic / D. C. Brater, J. Leinfelder, S. A. Anderson // Clin Pharmacol Ther. - 1987. - Vol. 42. - Р. 187-192. 5. Clinical significance and management of ventricular arrhythmias in heart failure / H. Kottkamp [et al] // Eur Heart J. - 1994. - Vol. 15 (Suppl.D). - Р. 155-163. Greene H.L. Clinical significance management of arrhythmias in the heart failure patient / H. L. Greene // Clin Cardiol. - 1992. - Vol. 15 (Suppl.1). - Р. 113-121. 7. Guidelines for the diagnosis and treatment of chronic heart failure. Task Force for the Diagnosis and Treatment of Chronic Heart Failure, European Society of Cardiology / W. J. Remme [et al.] // European Heart Journal. - 2001. - Vol. 22. - Р. 1527-1560. Podrid P. J. Ventricular arrhythmia in congestive heart failure / J. Podrid, R.I. Fogel, T.T. Fuchs // Am J Cardiol. - 1992. - Vol. 69. - Р. 82G-96G. 9. Torasemide in chronic heart failure: results of the TORIC study / J. Cosin [et al.] // Eur J Heart Fail. - 2002. - Vol. 4,№4. - Р. 507-513. Copyright (c) 2010 Zagravskaya I.A., Zagravskaya I.A.